SpaceX engineers continue work on Starship prototype "hopper" at Boca Chica Beach Friday morning as crew work to test their single Raptor engine. BROWNSVILLE — The Federal Aviation Administration is restricting airspace around the SpaceX launch site early next week. The FAA is restricting aircraft within an approximate 1.25-mile radius of the site Monday through Wednesday to provide a safe environment for space activity. The restricted airspace is from the surface up to and including 1,000 feet, according to the FAA notice. The notice was posted yesterday as SpaceX entered its second day of testing its Starship prototype. The airspace restrictions are scheduled to be in effect from 8 a.m. until 5 p.m. on Monday, Tuesday and Wednesday. Cameron County Judge Eddie Treviño Jr. said yesterday afternoon he signed an order at SpaceX’s request extending the closures of a portion of State Highway 4 to Boca Chica Beach so SpaceX can continue testing. Those closures will occur from 10 a.m. to 6 p.m., Treviño said. The order states that Tuesday and Wednesday closures can be used if SpaceX doesn’t utilize the Monday closures. In the first order Treviño signed on March 19, the county authorized the closure of the area last Wednesday and granted authorization for Thursday or Friday closures if SpaceX didn’t utilize that March 20 date. SpaceX did not utilize that closure date and instead the county closed the area last Thursday. Late Thursday afternoon, Treviño signed an order extending the closures until Friday. 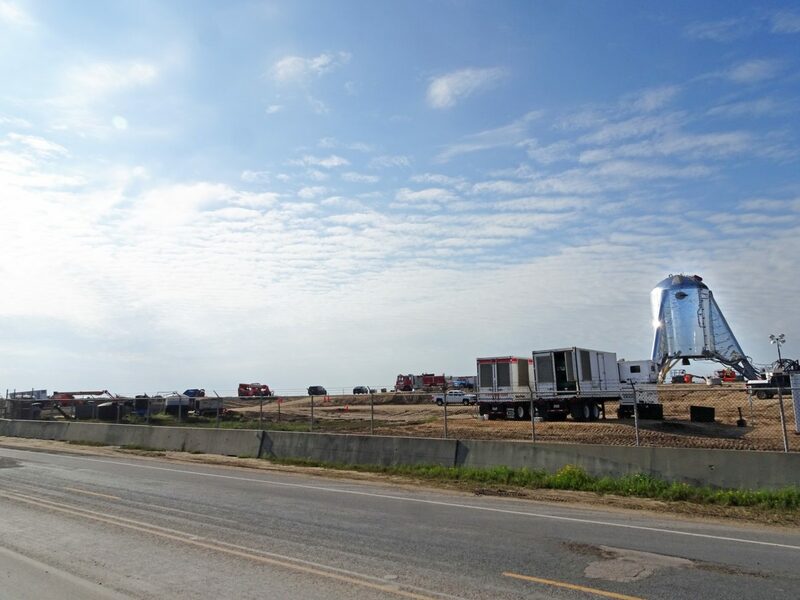 Yesterday, SpaceX continued testing the fuel system on the prototype Starship Hopper and everything associated with it, Treviño said. As for what SpaceX plans to do on either Monday, Tuesday or Wednesday, Treviño said other than additional testing, he couldn’t say. “I don’t have any confirmation,” he said. Cameron County had closed a portion of State Highway 4 to Boca Chica Beach Thursday and Friday so that SpaceX could conduct “tank tests” on its prototype Starship Hopper, Treviño said Thursday. Although the prototype is designed to perform sub-orbital flights, or hops, the upcoming initial flights will be tethered and not visible from off site, according to the company. On March 17, SpaceX founder Elon Musk tweeted that the prototype Starship Hopper’s first hops would lift off, but only barely.